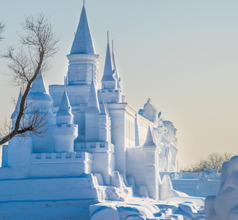 The city of Changchun is located in the northeast of Jilin Province, China. Being the second largest city in the province, this prefecture-level city has always been and still is the center of political, financial, and cultural power in the north of China. It is a modern urban area with excellent infrastructure. It boasts of being the hub of the automobile and automotive manufacturing in the country. But there are other aspects, besides its prosperity, that attracts domestic and overseas tourists to the city of Changchun. Changchun enjoys cool and pleasant weather conditions most of the year. In winter, the temperatures dip below zero and the nearby lakes are frozen. The air is crisp and free of pollution and in the year 2012, Changchun City was declared as the city with the best quality of life. It is endowed with splendid topography because it lies in the center of the Songliao Plain in the northeast of China. There are as many as 222 lakes and rivers spread across the prefecture. In fact, the Yitong River, a tributary of the Songhua River passes through the city limits and endows it with picturesque landscapes. 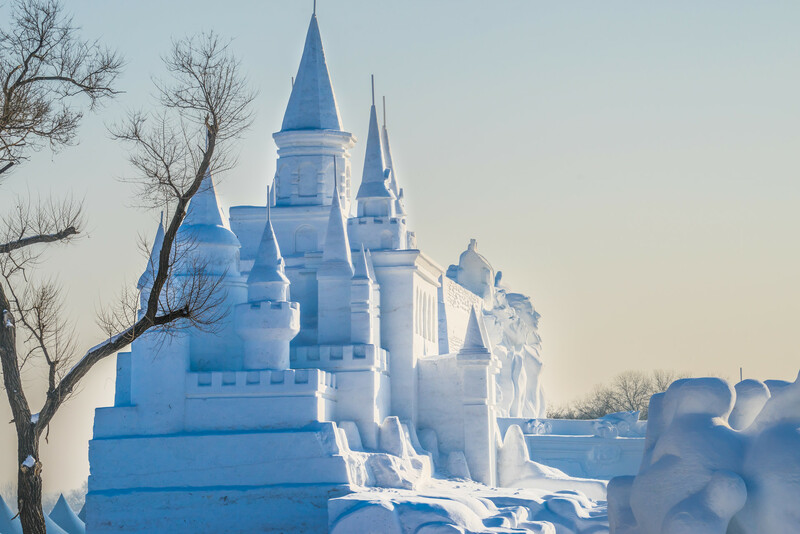 With a backdrop of the snow-capped Changbai Mountains in the north, the city has also developed into a hub for winter sports and snow sculpture just like Jilin City. At one time, the city of Changchun was termed as the “city of refugees” because in 1653 the Qing Dynasty Emperor passed a law that refugees should immigrate to Changchun and make their homes there. Also, it was the capital of Manchukuo and was ruled by a Japanese puppet emperor. Consequently, for many decades the city was not considered a part of the regular tourist circuit. Over several decades, as the migrant population became more educated and emancipated, the city turned into a well-organized urban area. 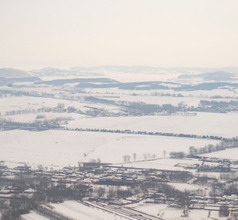 The city has opened to the public in a major way since it hosted the Asian Winter Games in the year 2007. Changchun underwent a major overhaul vis-à-vis infrastructure and other facilities while preparing for the games. Today, the city has booming industries like automobiles, trains, finance, Information Technology, and film production, among others. A majority of the top-class hotels are located within a 5Kms radius of downtown Changchun. One can select from simple inns and youth hostels or upscale fully-furnished service-apartments. Also, the city boasts of having the best brands of 2, 3, 4, and 5-star hotels with spacious rooms and aesthetic décor. The amenities they provide are equivalent to any world-class luxury hotel. Depending on the star-rating, the hotels offer International-cuisine in-house restaurants and round-the-clock services like laundry, in-room dining, housekeeping, concierge services, swimming pools, sightseeing helpdesk, and more. 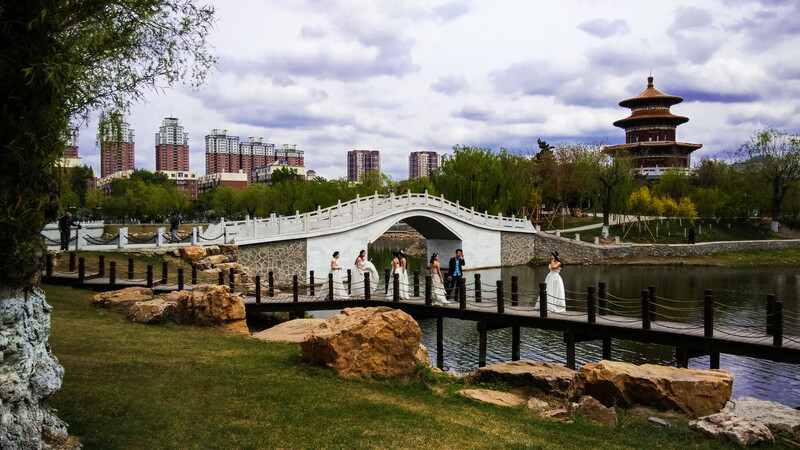 One of the most popular attractions of Changchun City is the Nanhu Gongyuan or South Lake Scenic Area. It is especially favorite of families with kids because it has large recreation facilities. In the winter season the entire lake freezes and forms into a large natural skating rink. In the other seasons, popular activities in the scenic spot are boating, canoeing, jet-ski, and riding on camel and dog sleds. Wenhua Square, on the other hand, is a hang-out place where there are numerous historical buildings dating back to the Japanese imperial period. Some of these attractions are the Puppet Imperial Palace, the New Palace of the Emperor of Manchukuo (which was built to replace the Puppet Imperial Palace), Jilin University, and the Military Affairs buildings. The square is a favorite spot for locals for flying beautiful Chinese kites and to enjoy the fresh air and sunlight. About 45-minutes-drive from downtown Changchun is the lovely Jingyuetan National Forest Park. This is the largest intentionally created forest park in Asia and has more than 550 species of trees and a variety of faunae. 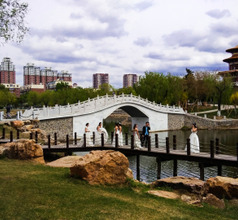 The Park has several scenic spots like the Forest Bathing Spot, Peace Bell Tower, Siberian Tiger Garden, Guantan Hill, Jingyue Wetland, Lotus and Willow Garden, Green Pine Ridge, Bisong Jingyue Tower, Jingyuetan Reservoir, North Putuo Temple, Vasaloppet Museum, Wangtan Bridge, the snow sculpture garden, and a world-class golf course. It is also the venue of several annual events like the ski festival, forest marathon, hiking festival, mountain biking, and the famous Dragon Boat Race. 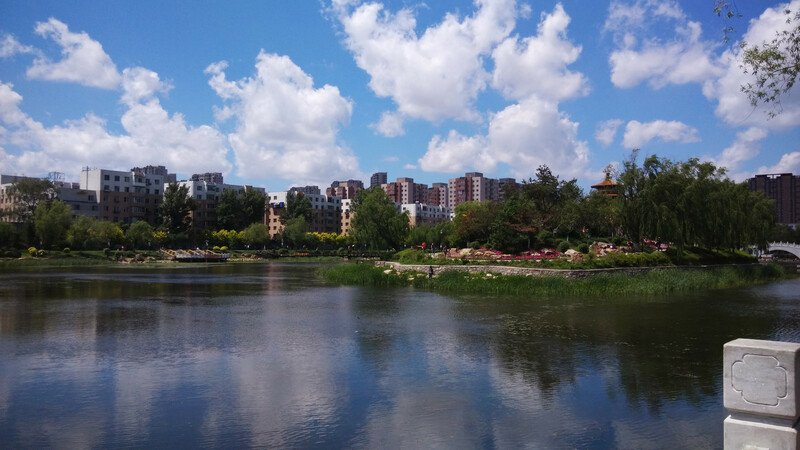 A tourist attraction in Changchun City that is popular with people of all ages is the Shengli Park. This site not only as superb scenery and greenery but it also has a unique animal-petting zoo where tourists can interact with the animals. In the summer season, visitors love to enjoy on the bumper cars. While in the winter the pond becomes an ice-skating rink. Going from downtown Changchun, it takes an hour by car and over 2 hours by Longjia Railways to get to Changchun Longjia International Airport. There are 2 terminals providing good amenities. A regional center for China Southern Airlines, it provides a lot of the local connections including one to Shanghai with 113 flights weekly. 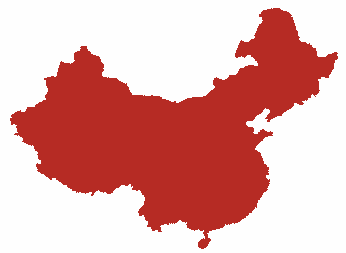 Beijing, Qingdao, Jinan, Nanjing and others are catered to by Air China, Qingdao, etc. It also connects major East Asian cities. 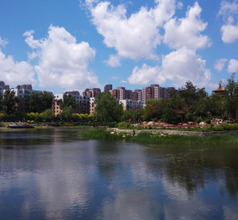 Changchun City has a huge advantage of because it is surrounded by alluvial soil and plenty of water. So the city gets the best quality organically grown produce. The cuisine of Changchun is highly evolved and has a lot of variety. They have some very rare dishes in their repertoire which are not served in other cities or provinces of China. The most famous signature dish of Changchun City is the Changbai Zhen Yan or Changbai Banquet. This is a complete meal consisting of six dishes crafted using ingredients like ginseng, bear's paws, snow toad, deer antlers, and other items that are collected from the Changbai Mountain. Other famous dishes include Huibaozhen Dumplings, chicken cooked with ginseng and the local Maotai Wine, Eight Bowls of Manzhu, Chaoxian cold noodles, stewed meatballs, Liliangui biscuit with smoked meat, braised deer's tail, mutton and kidney bean stew, Liliangui biscuit with smoked meat, steamed white fish, pork or chicken hotpot, etc.